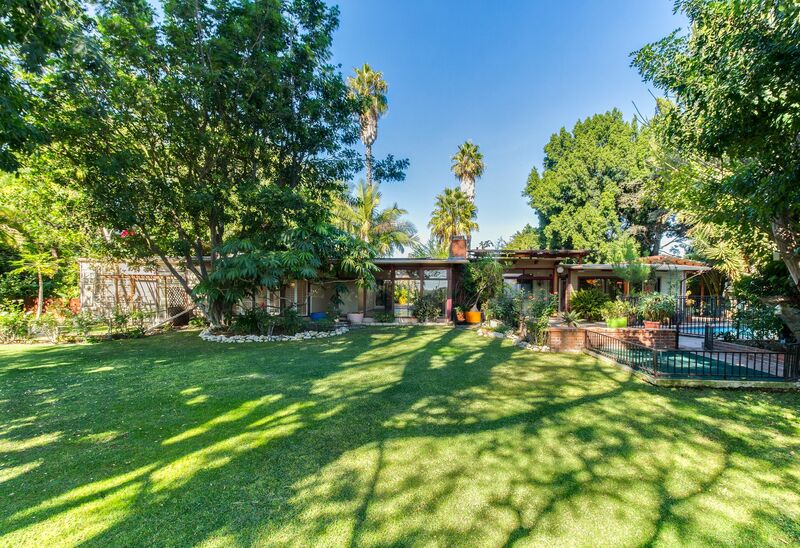 Private home on a half-acre, corner lot! 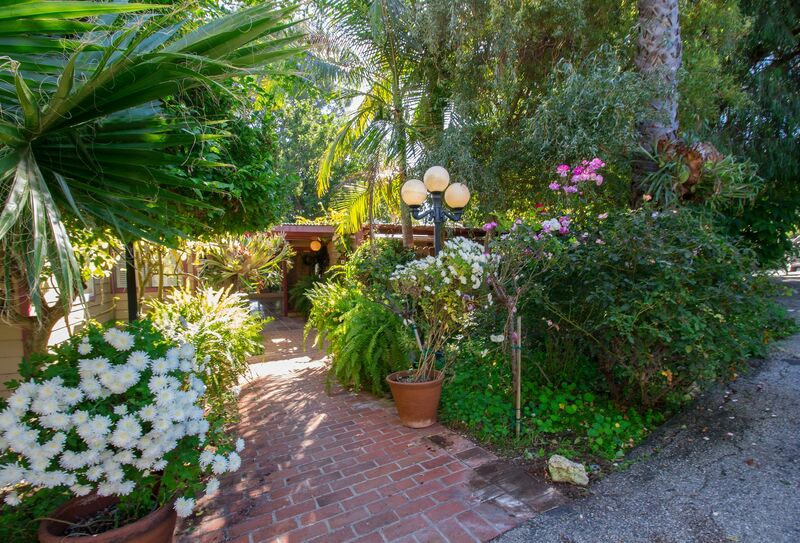 The gated entry is lined with citrus trees, roses, plumeria, and other exotic plants. 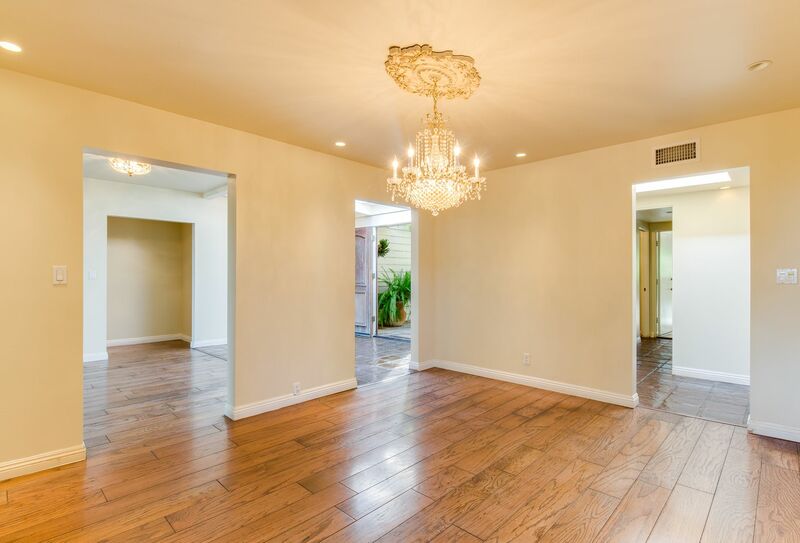 A beautiful, antique front door welcomes you into the home where you will find 2 guest bedrooms and large master suite. 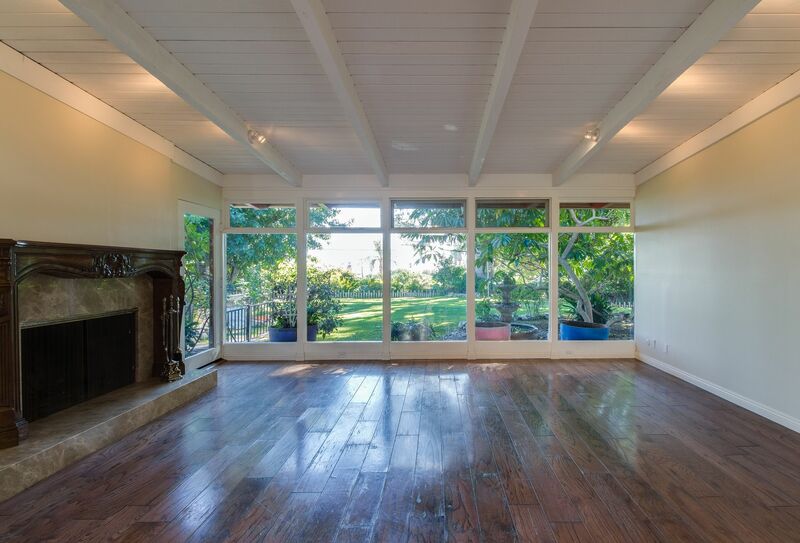 Main living areas face the backyard with a view of the San Pedro harbor. 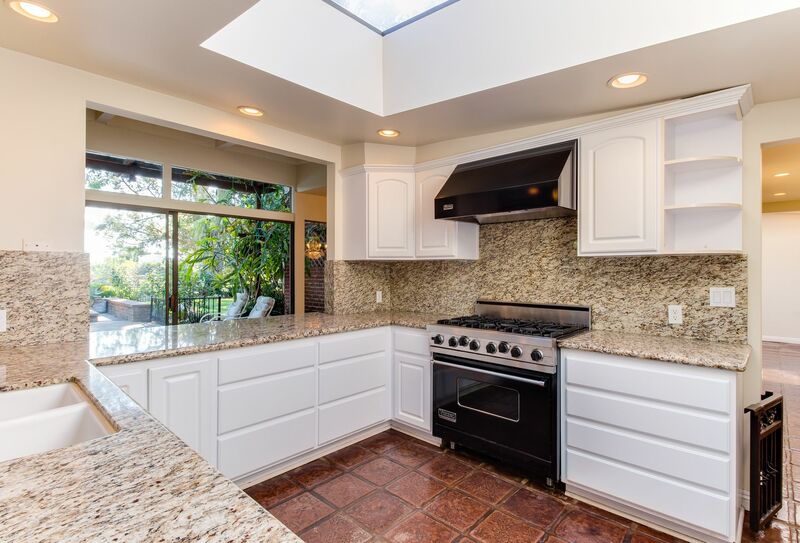 The centralized kitchen has a new Viking range and huge walk-in pantry. 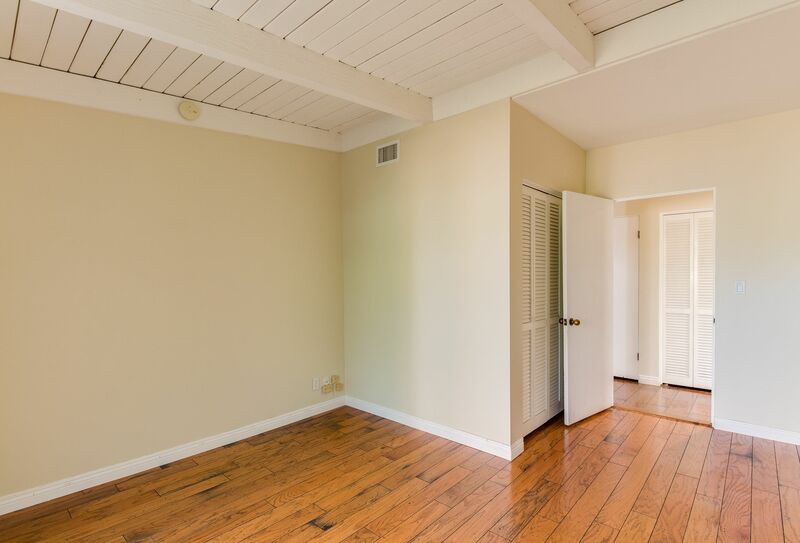 In addition to the 3 bedrooms, an oversized office is situated off the kitchen with powder room close by. 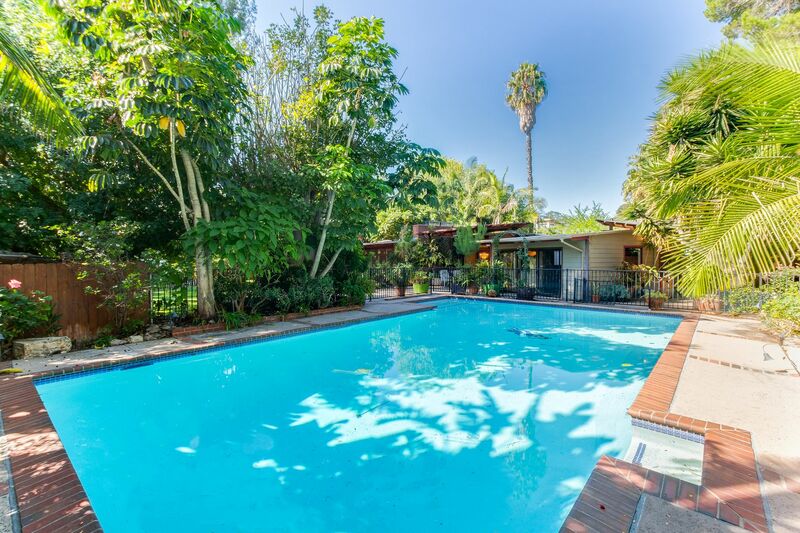 Venture outside to enjoy the solar heated pool or have a glass of wine by the outdoor firepit. 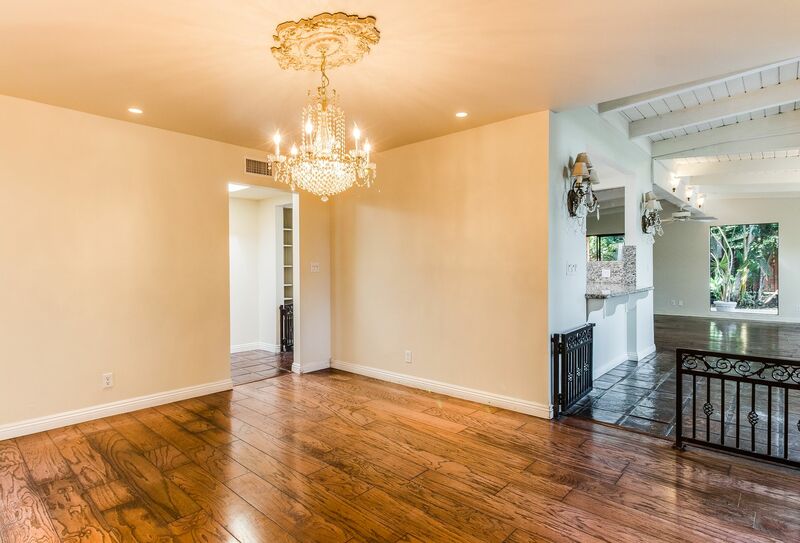 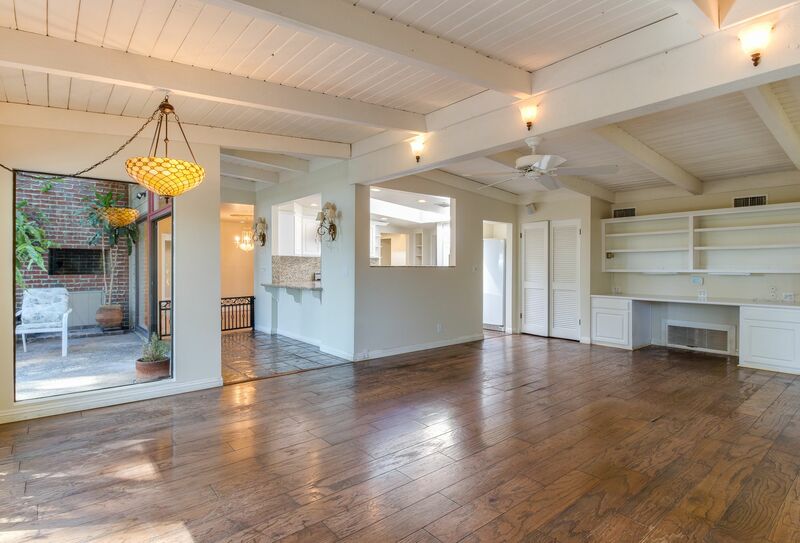 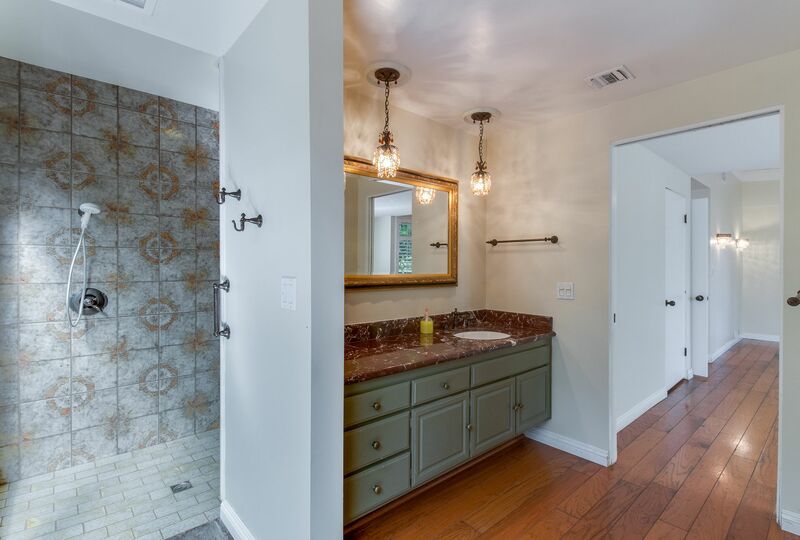 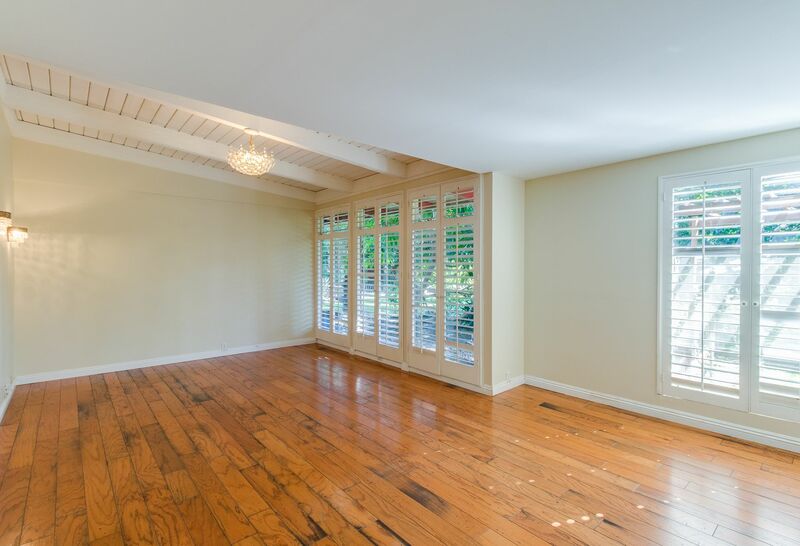 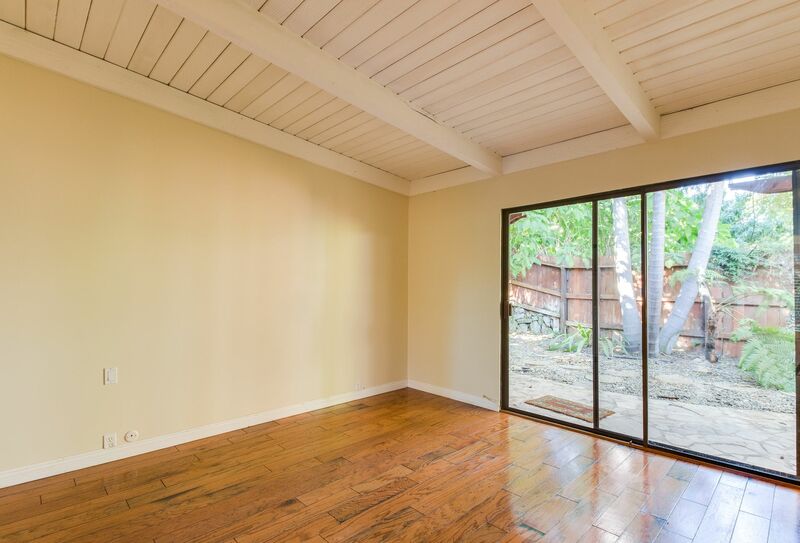 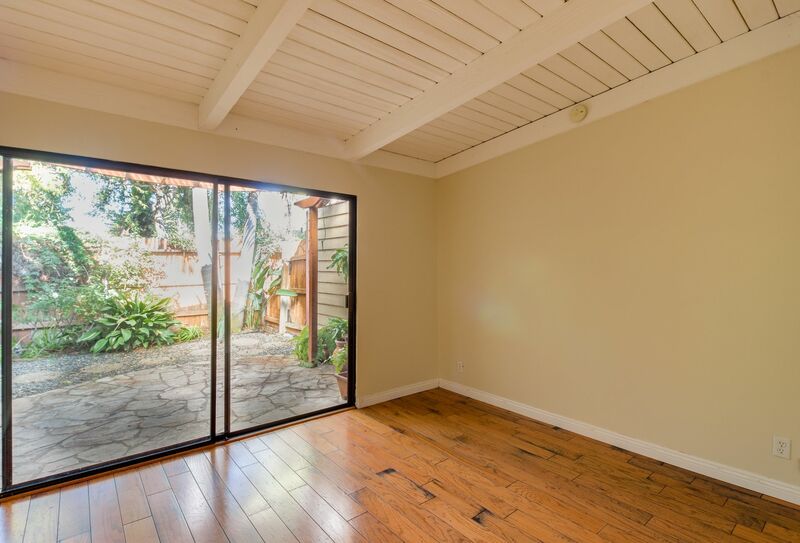 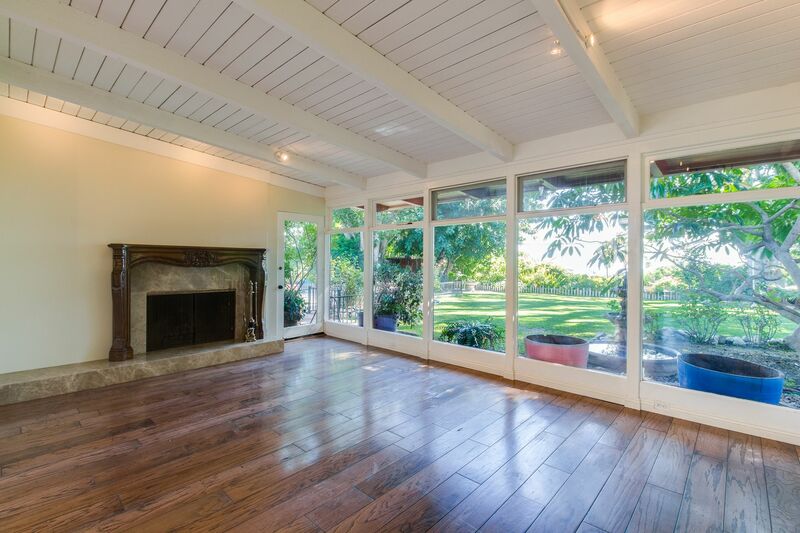 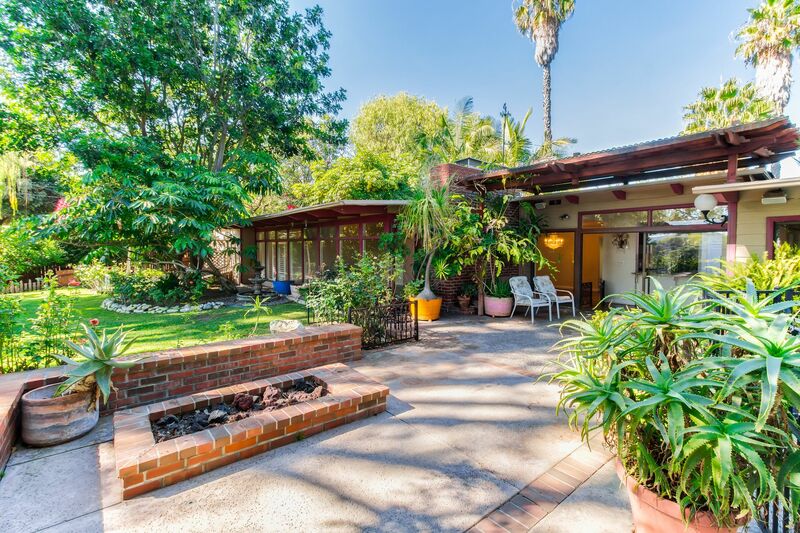 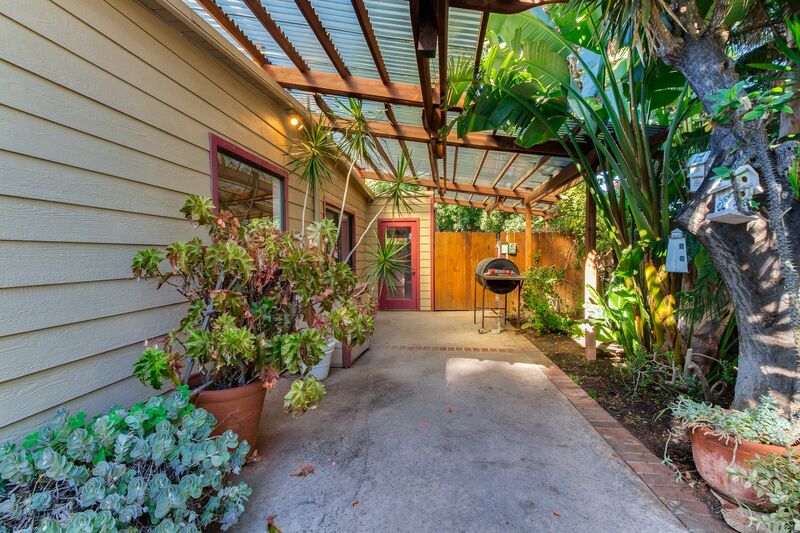 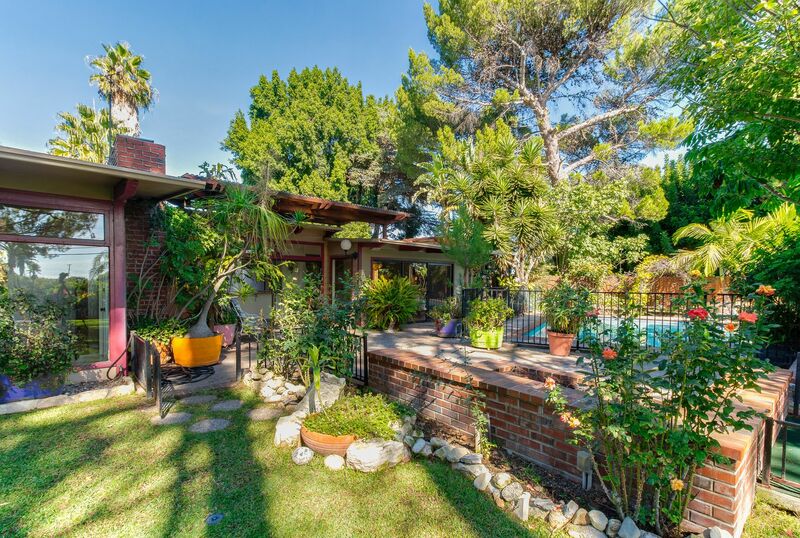 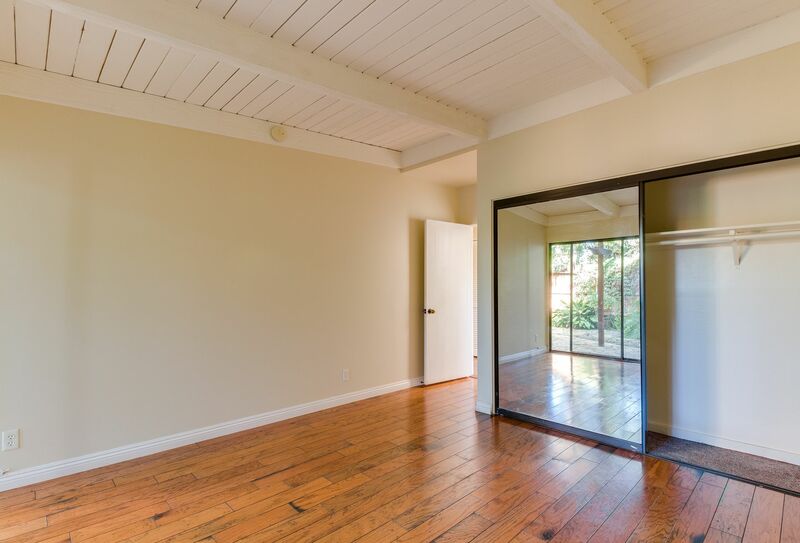 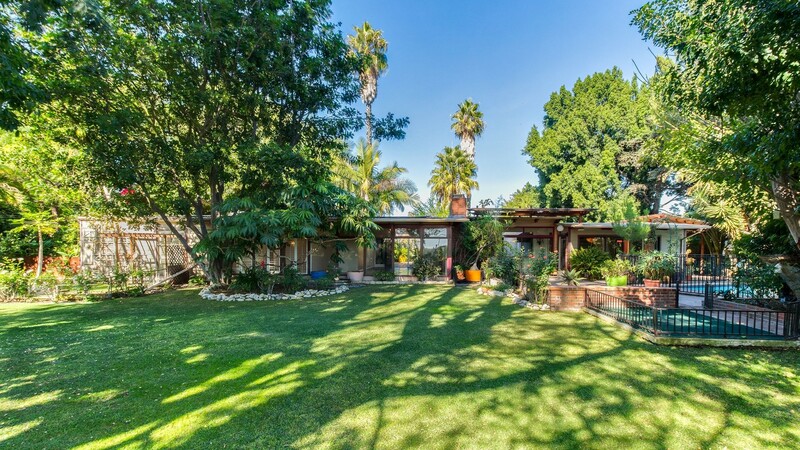 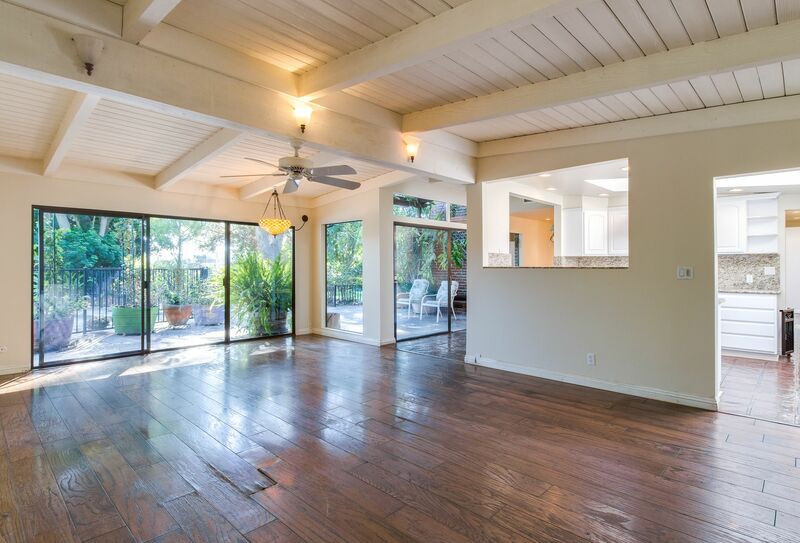 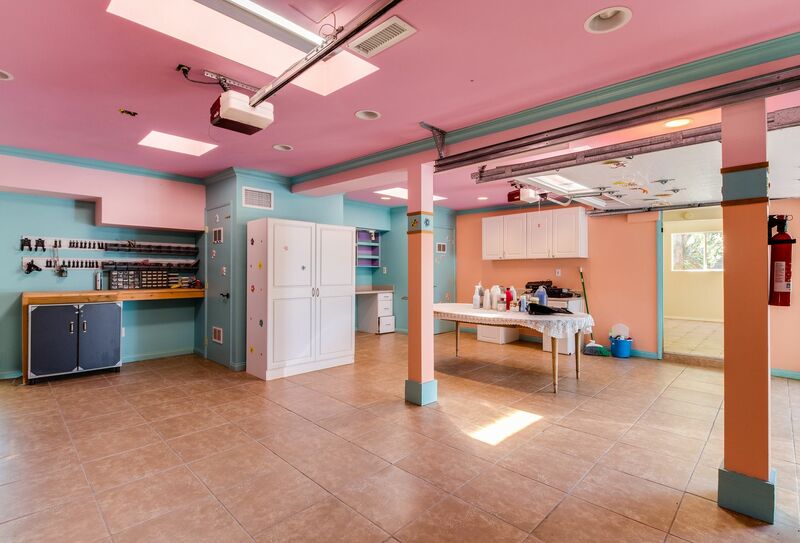 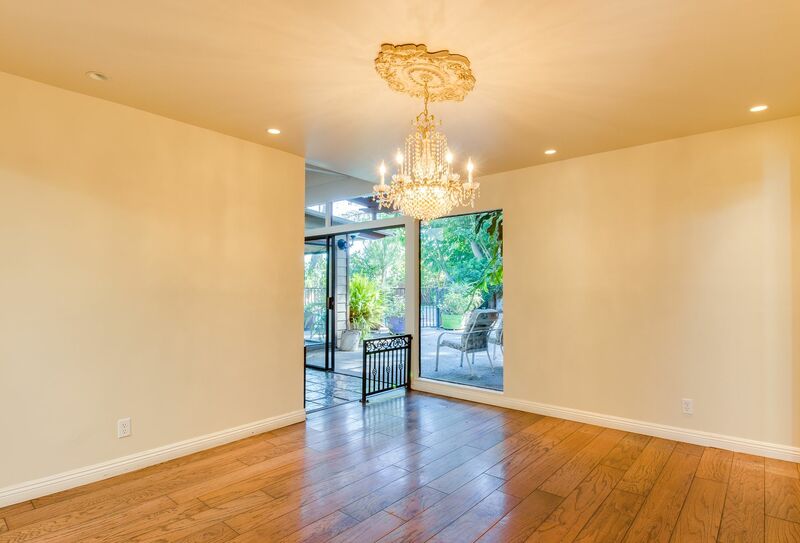 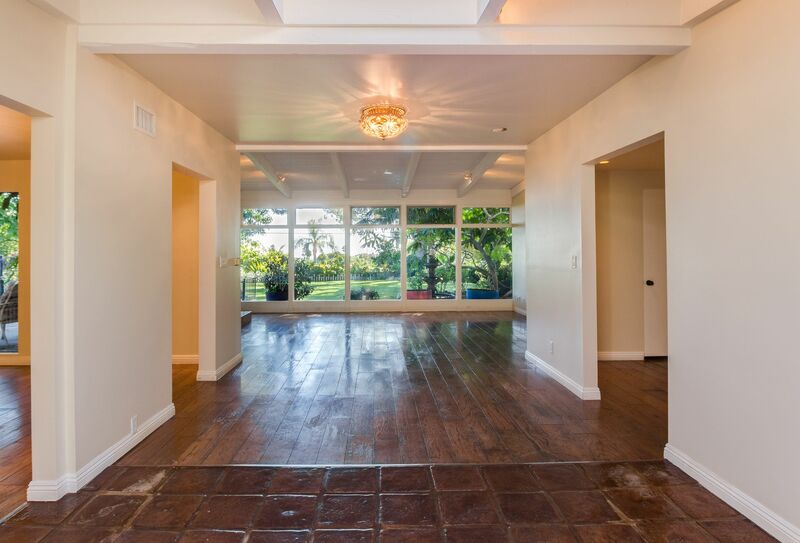 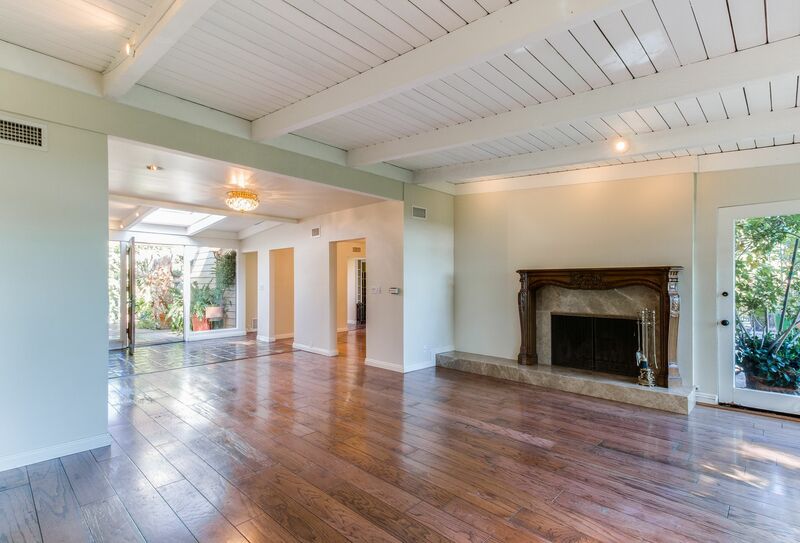 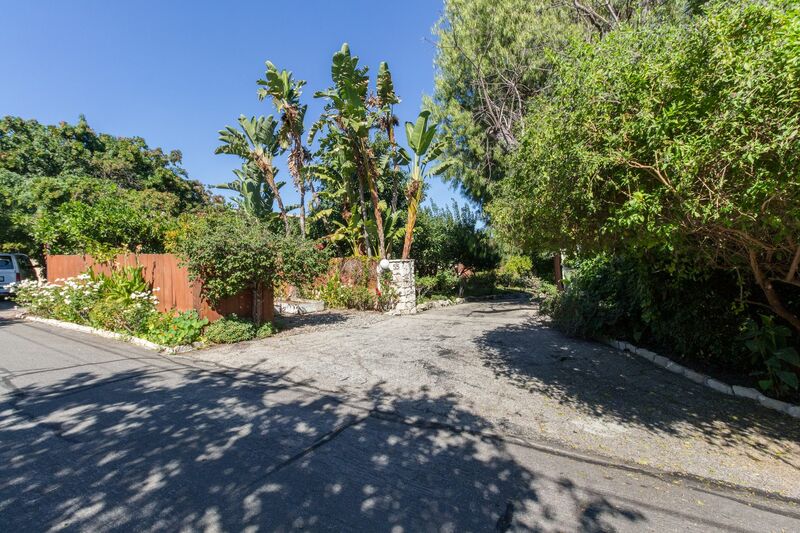 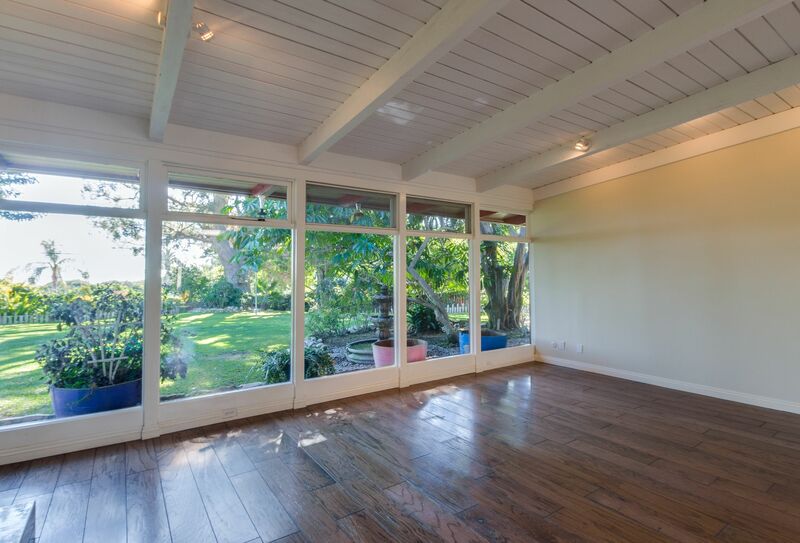 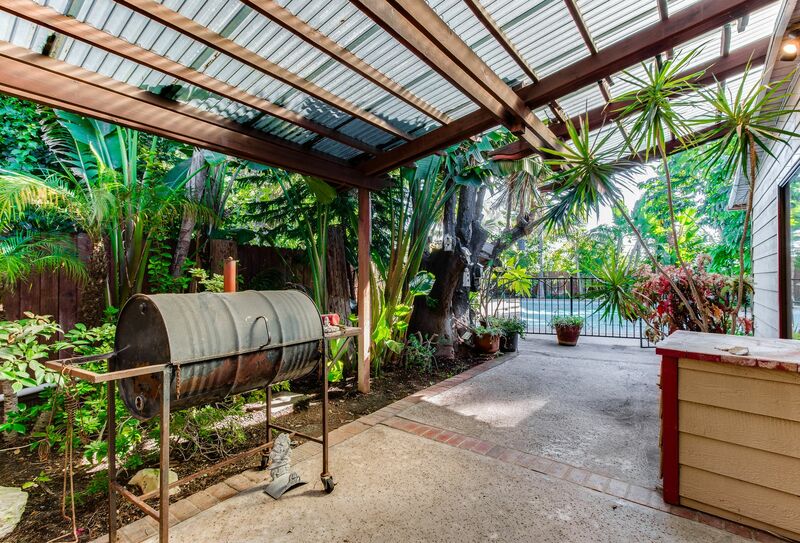 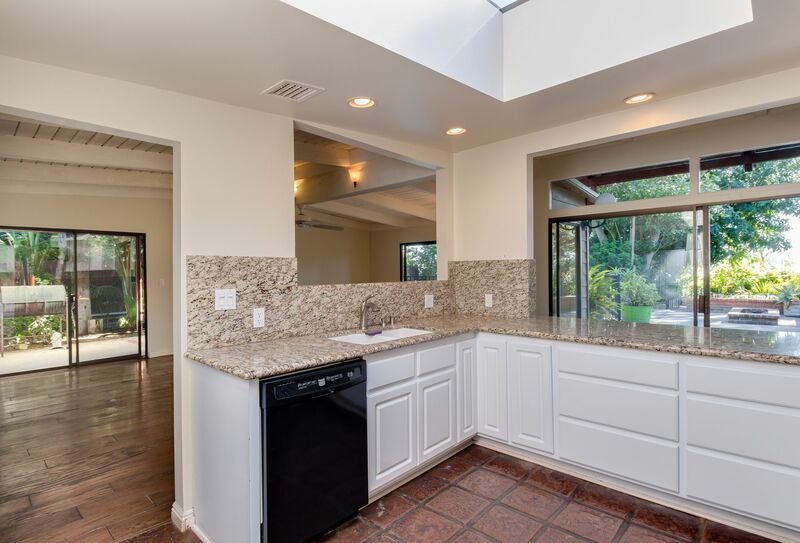 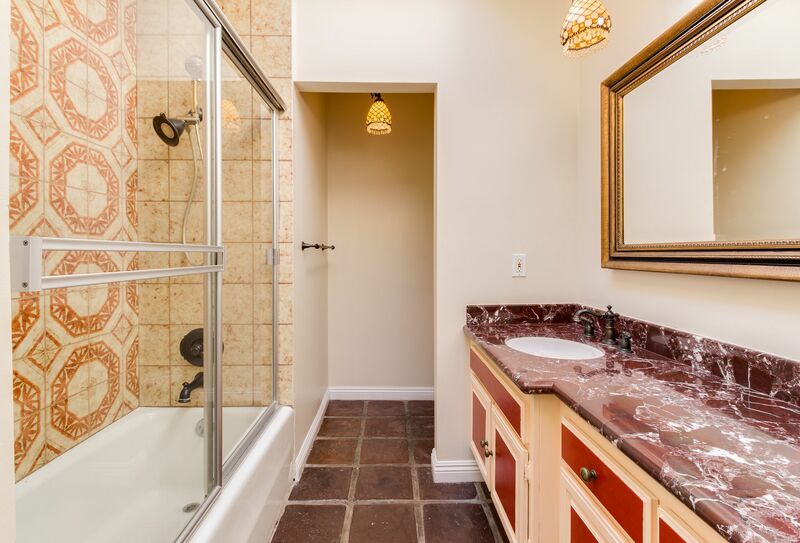 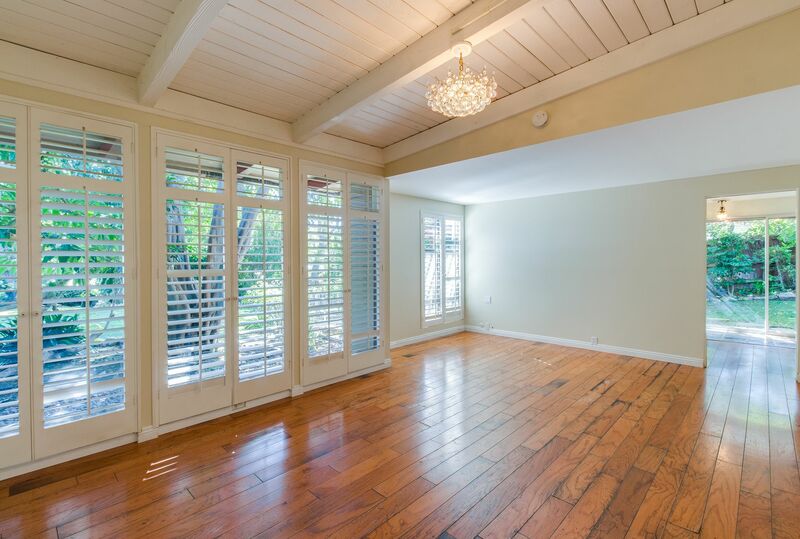 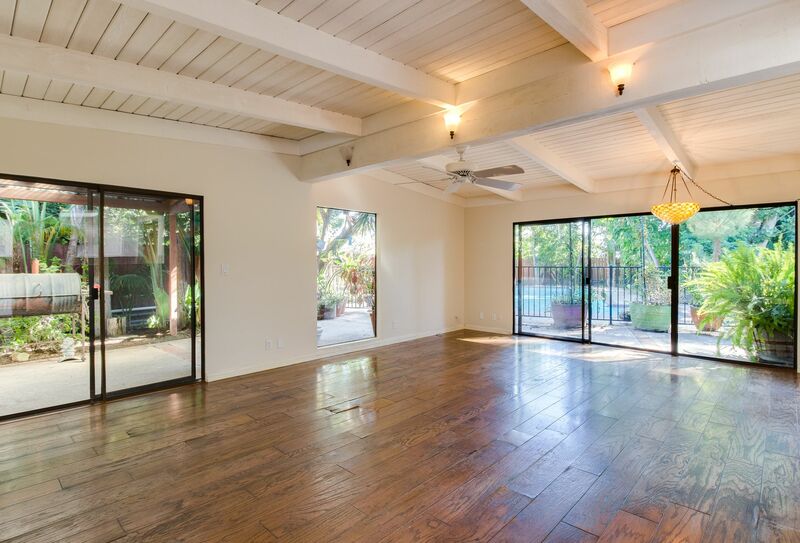 The fully-enclosed, lushly landscaped yard provides plenty of space for playdates or pets. 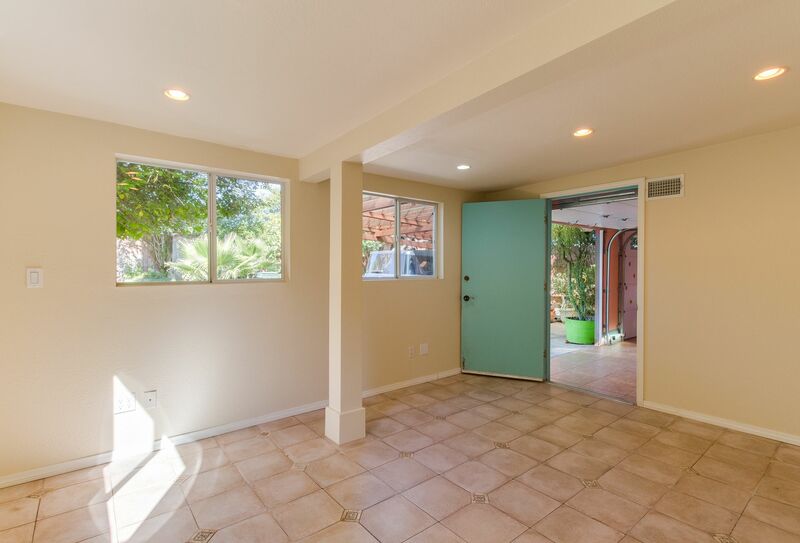 In addition to the oversized two car garage with built-in shelving, this home has additional 2 car covered parking.